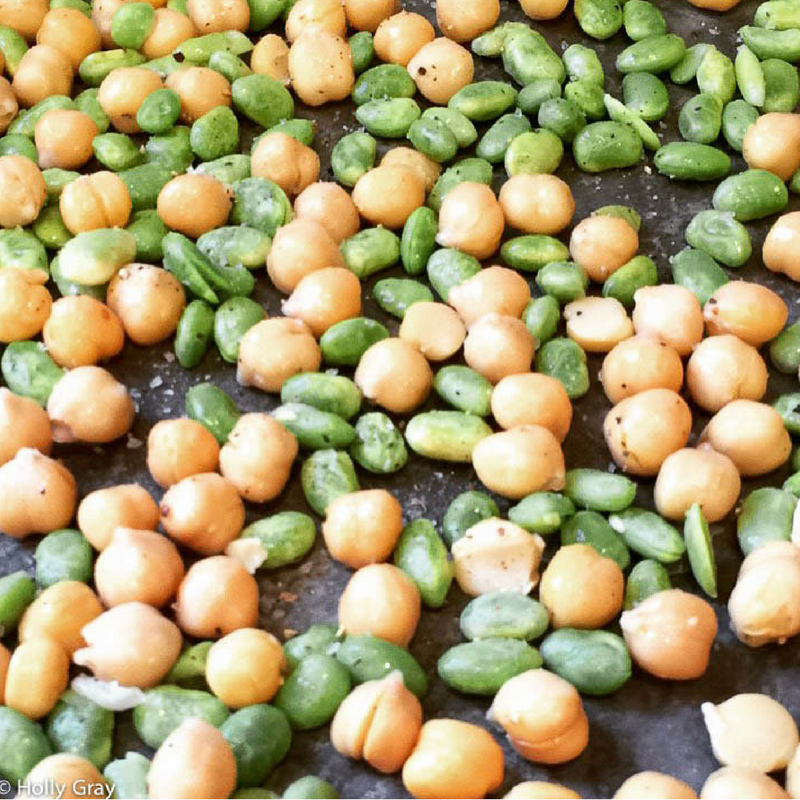 Introducing my current favorite snack… roasted chickpeas and edamame. Loaded with protein and so super easy to throw together. I usually like to keep it simple and only season with salt and pepper but you could absolutely customize with all sorts of seasonings. Chili powder, curry, garlic salt, taco seasoning – whatever floats your boat. There are no rules here. One thing to keep in mind is, this is a snack best served warm, right out of the oven, so plan accordingly. I got carried away the first time and made way too much only to find that the crunchiness just doesn’t last overnight. So, pop the beans in the oven just before The Voice or This is Us (my two new favorites!) comes on and you’ll be set. In a medium bowl, drizzle chickpeas and edamame with olive oil; toss to coat. Spread in a single layer on a bring sheet. Season with salt and pepper, to taste. Roast in oven 20 minutes, or until lightly crispy.